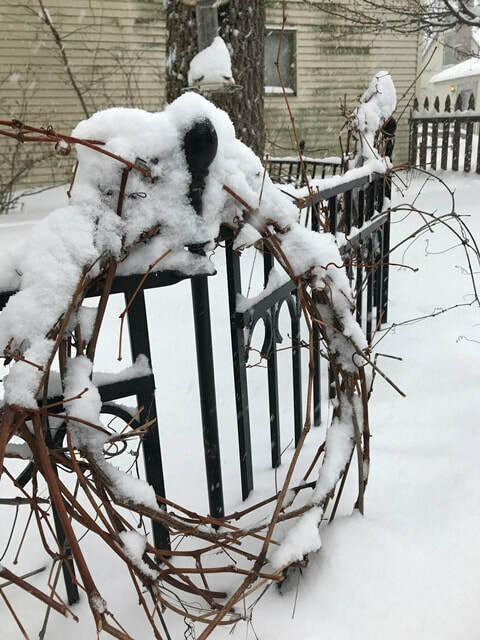 Although this is March.....winter's not letting go! Y'aaaaallll..........how much more snow will we get? Setting records in MN, that's how we do it! LOL. Just a very quick update this month, as pretty much all what was happening in February was snow, snow and more snow. 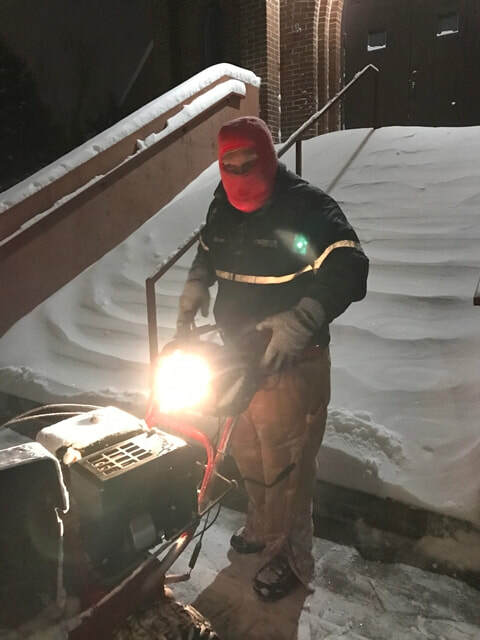 Hubby and I were busy keeping our business and private home owner accounts happy in removing all the excess white stuff so cars could be parked and they could access all delivery or garage doors. It's been many 18 hour days for the hubs. 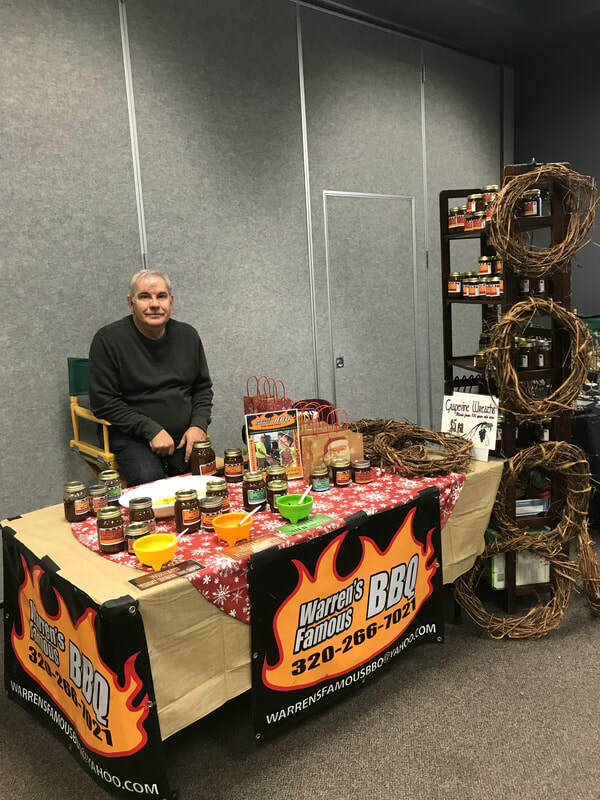 The little Sartell Farmers Winter Market will be part of the business Expo hosted by the Sartell Chamber & Hospitality and Visitors Service this month. We have been part of the Winter Market since November last year. The Market will still go until the first weekend in April. Then the regular Farmers Market starts for the summer. Since we will be busy in the summer we won't be part of it most likely, but will return for the Winter Market again in November this year. So for this Saturday we won't be in our usual room, but probably across the hall and amidst all the other vendors set up for this event. It should be fun, lots of activities, so come one out and come see us. 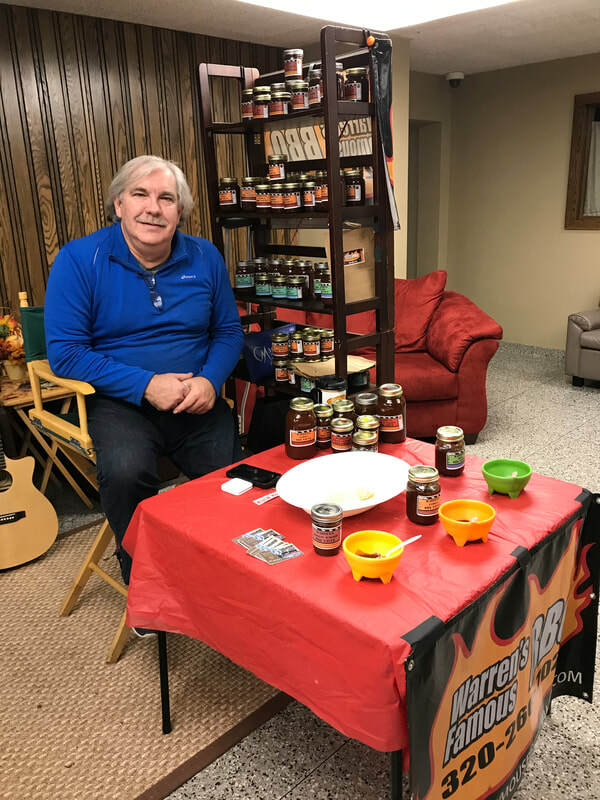 Warren will be there with his BBQ sauce as well, so if you need to stock up, that's the time to grab some! Music time!!! This Tuesday the WOW Women Group will be enjoying a group singing with Sam at Quiet Oaks Hospice House, to bring the peace and joy of music to staff and residents alike. WOW ladies: we will meet at Liquid Assets at 10:30 to carpool over to Quiet Oaks. Warren and I will be one of the worship teams for this prayer/praise & worship time. Our timeslot is from 1-3, but the event begins at 9 am and ends at 9 pm. Anyone is welcome to come and worship with us. 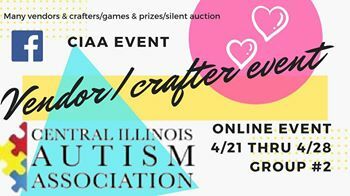 This will be the first of the Crafts Fairs I'll be attending with my NotesNBling Jewelry for the year, so I'm excited to start that season. 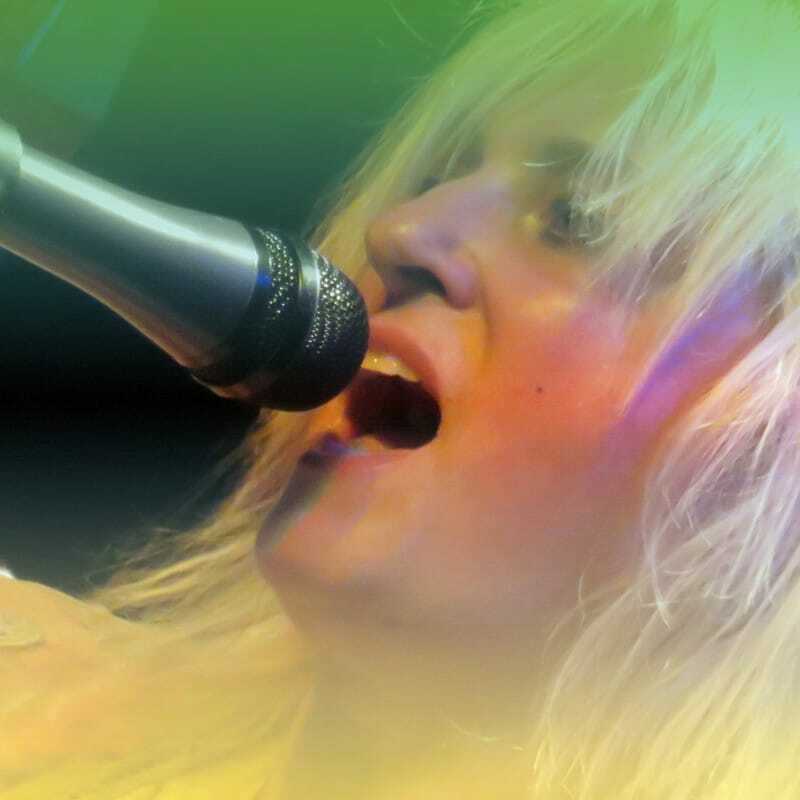 Next month there will be some MUSIC DATES in Wisconsin! Yey! Finally able to travel again with hopefully no snowy or treacherous roads we have been having the last couple of months! At the last event listed up above, you saw a picture of NotesNBling table runners. So those have my NEW logo on them and I just picked them up at FedEx before all the snow started flying today. Very thrilled I got them in! My friend Brian Berry from Anvil Custom Graphics in Fayetteville, AR designed the logo and made the covers for me - and they arrived just in time for the big business event at the Community Center in Sartell this Saturday. Hopefully I'll still have time to make a few earrings to go with those new bracelet colors! They are just gorgeous! You have to come check it out! 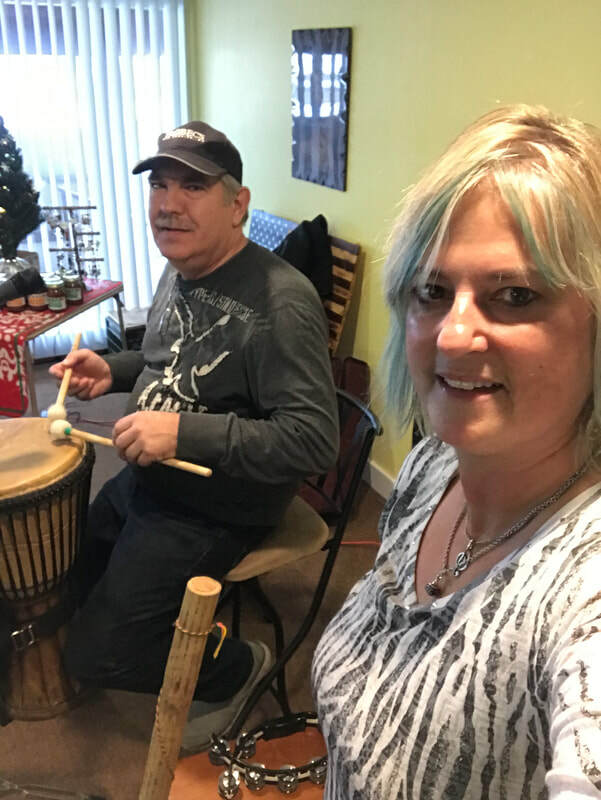 We are thrilled to have picked up a couple music events for this month too besides the vendor shows and they are close in town, so no long distance traveling in possibly bad weather. Also a reminder.... I have a YouTube Channel, but it has a long weird link and I need 100 subscribers to where I can finally get the link that says: youtube.com/SamScalesMusic.... However I'm still 44 subscribers away from that goal. If you have not yet subscribed....would you do so? It would really help me out in promoting the channel more eventually and start creating a bit more content there too. To get to the channel just click on the YouTube icon (next to the Facebook and other icons) above the email subscription box on my website to get you there. Thanks so much. Hello and Happy New Year to all you special people! I know.....it's already past the middle of the month and I'm just now getting around to it. But hey, it's the thought that counts! We had a good Christmas, but different this year. We got to spend Christmas Eve with friends at their house here locally and that was such a GREAT time. Spending time with people is so important! I always wish that everyone would have someone to spend time with on the holidays, but I know so many times it's not possible and my heart goes out to those who feel lonely. Tell ya what, driving that day was the BEST driving down I-94 I've EVER done! Wow! Hardly any traffic, no trucks (except for two) and making it from Monticello all the way through the Cities in one hour (yes, driving the speed limit)....that was amazing. I've never done that! Those of you who live around here know exactly what I'm talking about when it comes to Minneapolis/St. Paul traffic!!! 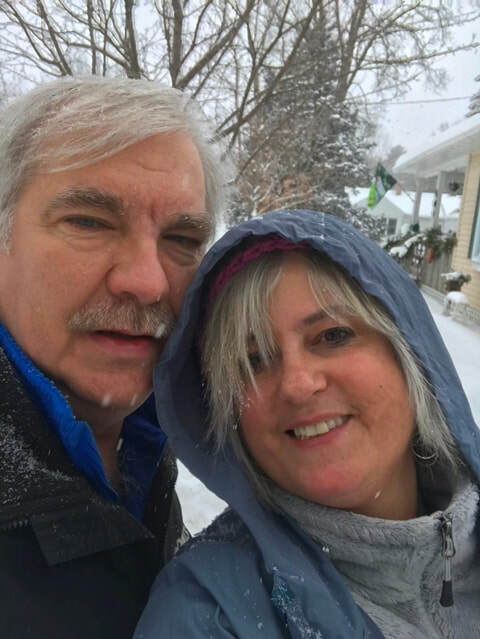 I had a wonderful time with my daughters and grandkids, missed all the snow around here and enjoyed decent temperatures and a lot of fun. On the way home after 5 days, I stopped by my favorite bead store and stocked up on supplies for more jewelry creations for NotesNBling. Now....it's January....and COLD. -6 degrees this morning as I headed out to an event. Yikes! Y'all, but Spring is only 60 more days away!!! We start with my guitar and singing or we may end that way. Currently I'm teaching on "Dividing Of Soul & Spirit", which has been such a good study for me.... it has been refreshing for all of us. We will be on that subject for a little while, it's so good. This little Winter Market has been such a fun time for me. 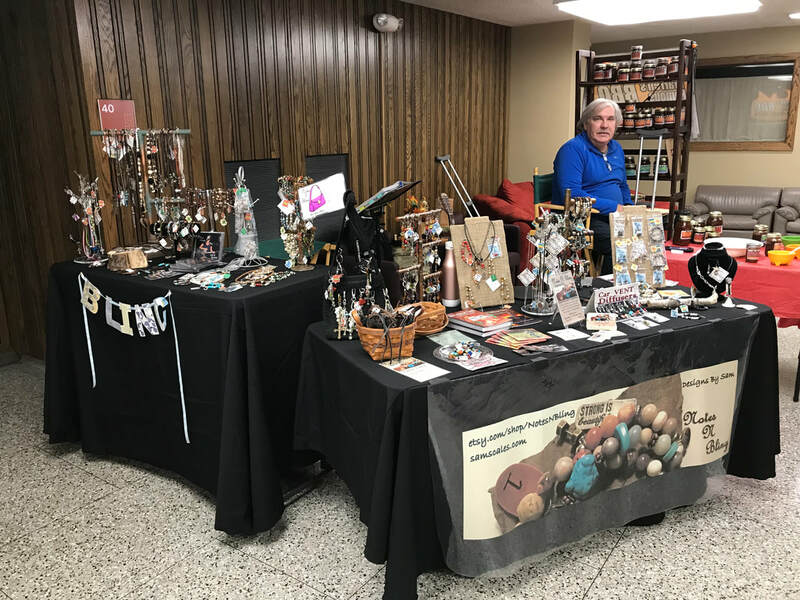 It was super busy before the holidays and I hope people come back these next few more months (February, March and April) for this market which is on the first Saturday each month and is indoors in Sartell's Community Center. The vendors currently there are fresh meat (grassfed), honey, popcorn, homemade essential oils and soaps, crafts and myself with the jewelry. New and different vendors pop up monthly as well besides the dedicated ones. When basketball is over, Warren will be back with his BBQ sauce, most likely March and April. The girls and I have decided to keep each other accountable for some fitness and weight loss goals. Soooo..... I got a Fitbit for Christmas....!!! Oh boy....the RACE IS ON!! So with Fitbit, you can do these weekly or weekend challenges with your friends where you have to get the most steps in to win. So far the girls always get the upper hand. Then Warren decided he wasn't going to be left out and found himself a Fitbit at a great discount and so now he is a challenger to contend with for all of us, especially on the weekends!! Last week however, their steps were toast when I took over and won the week with the most steps. That was thanks to decent weather!! Can't let these youngsters show me up who are half my age! Right?!! :D Now at -6 degrees and the high in the single digits, I think I'll let them win next week until the weather gets "warmer"....then watch out!!! What are your January fitness/health goals? Let's buckle up and get to working on with keeping up with that and feeling better and getting stronger! Music/jewelry schedule will have to be a little light these next few weeks since it's "tax season" and paperwork time.... Prayers for my sanity appreciated! Need to get back to just creativity SOON! Wishing everyone a successful and blessed 2019! The Holiday Season is upon us! Have you finished all your shopping yet? Have you even begun? 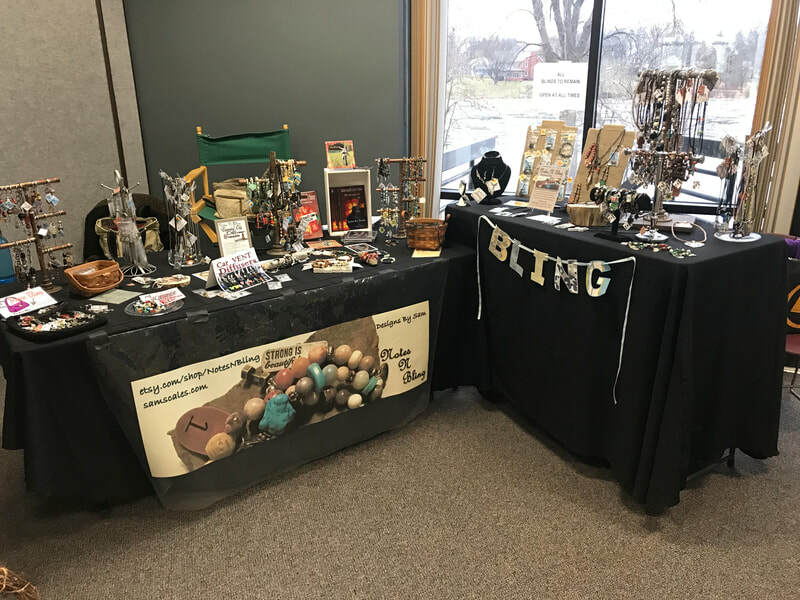 It's been such a blessed time already though, with all the events we have been going to like craft and vendor shows, playing a Christmas Concert in Eau Claire Wisconsin at the Gospel Christian Coffeehouse, enjoying my time with the WOW ladies group here in town and us preparing to sing for folks at a Hospice Home. Do you all have plans for the Holidays? Going to see family and friends or having them over? 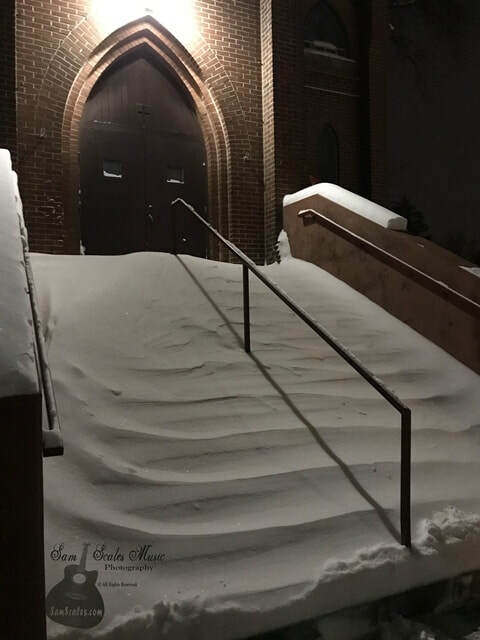 We hope to spend time with family, but it all depends on the weather, because if it snows we have to stay put as Warren has accounts for snow removal..... So, our holiday plans are up in the air. 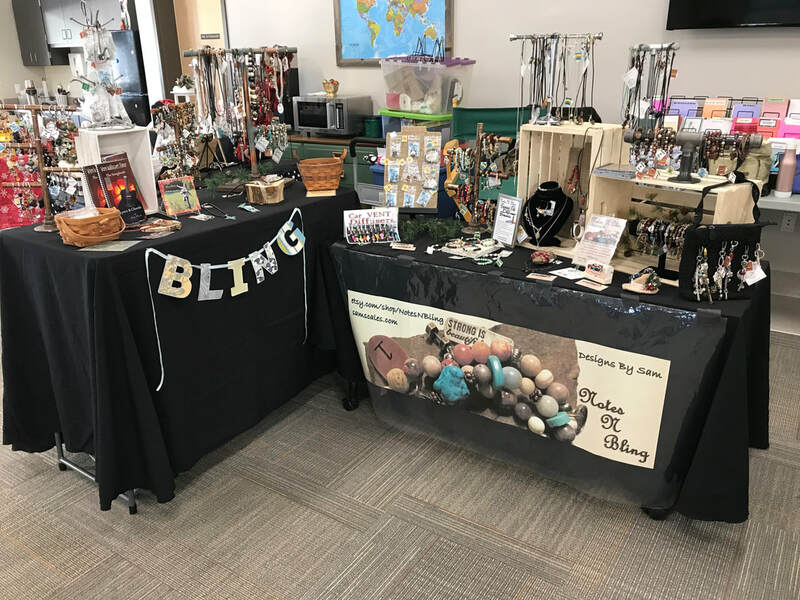 We will also see you back in Sartell at the Winter Market on January 5, 2019 held at the same place (Sartell Community Center) from 10am-1pm. Since I'm getting this newsletter out pretty much almost at the middle of the month, all our early December events have already passed. But here are some highlights. First: Hometown Market in Hudson, WI. 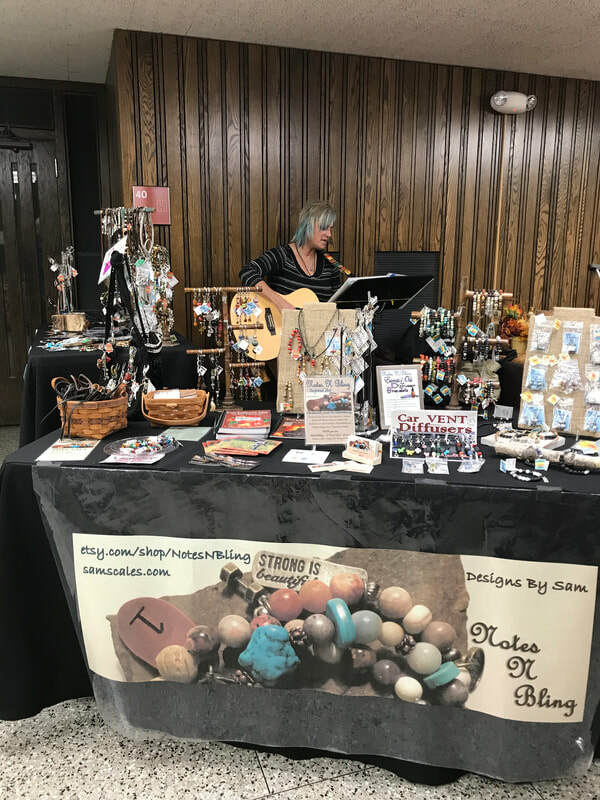 Such a blast to be with the other vendors, meeting new people and creating an atmosphere of worship during the event. 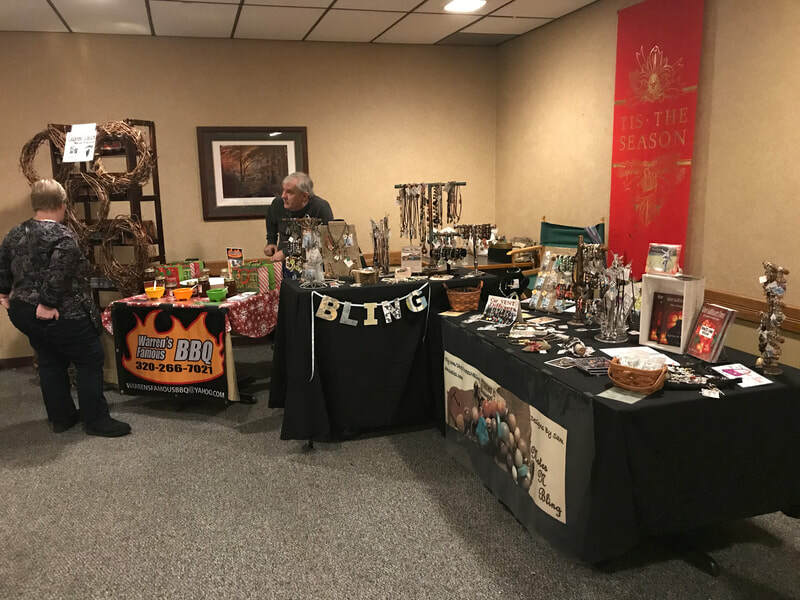 Here are just a few pictures of some of all the craft and vendor shows we've been participating in November and this month. Warren's BBQ sauce has been a great hit! My jewelry has been flying off the racks! 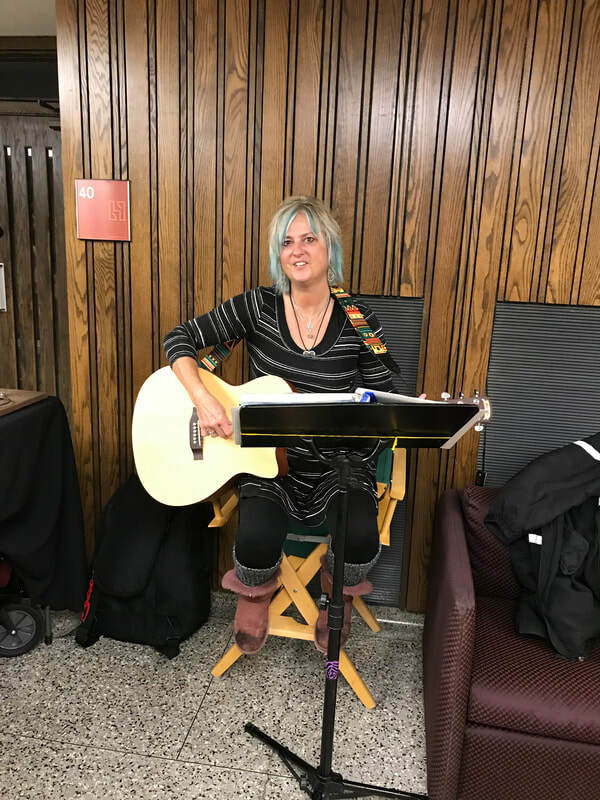 ....and the most fun was just this past weekend (Dec. 8) at the Gospel Christian Coffeehouse in Eau Claire, WI playing music, enjoying fellowship, laughter, quite a few Christmas songs and just the best time ever! Warren's ankle has been healing up very nicely. He's just in a brace now and already has refereed his first basketball game a week or so ago. Thankfully he was able to referee with another person so he did not have to cover the whole basketball court. He said he didn't have a lot of trouble with his ankle, but his leg did get tired after a while. So he's not quite up to par, but he sure is glad to get around SO much better. I've been busy making jewelry, going to shows (some without Warren) and letting people know about my business. The most fun is always to see someone find just that piece they love, either for themselves or as a gift for someone, and walk away with a big smile on their face! Since my jewelry is built upon scripture, it's been a great way to share encouragement and God's love with others through those scriptures. I love my creative art and so grateful that people appreciate it and want to buy it, ask for custom orders or just have me resize or make something special for them. Aside from the music (my first passion always), the jewelry has been a beautiful addition and my little business is growing as are my designs and different jewelry lines I now offer. More to come in the next year! Check in often on my NotesNBling Facebook page! Recently one of the songs in my Christmas repertoire is a song called "God Rest Ye Merry Gentlemen". A couple years ago I did some research on that song and found some pretty cool stuff. To sum it up shortly....this has been one of the most misunderstood carols of Christmas and the reason why is that some of the words we as Americans hear are not anything like what the English peasants meant when they first sang this song over 500 years ago. This carol was written as a direct reaction to the music of the 15th Century Church. During this period, the songs of organized religion were usually written in Latin and their melodies were somber and dark, offering singers and listeners alike little inspiration or joy. Although they continued to go to worship, the peasants created their own church music outside the walls of the cathedrals and chapels. They wrote songs that were light, lively and penned in common language. Their Christmas folk songs became the foundation of what are now known as Christmas carols. "God Rest Ye Merry Gentlemen's" lyrics reveal that the song's unknown writer knew the story of Jesus' birth well. He included the high points of the gospel throughout the carol's verses. The writer also fully understood the power of Christ and what His arrival meant to all who embraced it. "God Rest Ye Merry Gentlemen" was sung for hundreds of years before it was finally published in the nineteenth century. It eventually crossed the ocean to both Europe and America. The only problem is that few of today's singers fully understand the beginning of each of the carol's many verses. This is the result of the evolution of the English language. When modern people say "Merry" Christmas, the word merry means happy. When "God Rest Ye Merry Gentlemen" was written, merry had a very different meaning. Robin Hood's "Merry Men" might have been happy, but the merry that described them meant great and mighty. Thus, in the Middle Ages, a strong army was a merry army, a great singer was a merry singer and a mighty ruler was a merry ruler. So when the English carolers of the Victorian era sang, "merry gentlemen", they meant great or mighty men. "Ye" means you, but even when translated to "God rest you mighty gentlemen", the song still makes very little sense. This is due to another word that has a much different meaning in today's world and a lost punctuation mark. The word rest in "God rest ye..." simply means keep or make. Yet to completely uncover the final key to solving this mystery of meaning....a comma needs to be placed after the word "merry". So, in modern English, the first line should read: "God make you mighty, gentlemen". With this..... I wish you all a very MIGHTY CHRISTMAS! ....and a Happy New Year.